Overview: This service provides basic conversion of your media recordings so that the new digital copies are suitable for sharing across the WEB or storage in the Cloud. 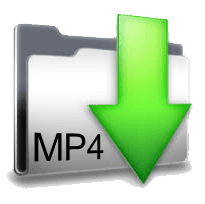 We convert video and movie film to mobile-friendly MP4 files, images to JPG files, and audio recordings to MP3 files. The services are applicable to 1) home movies on 8mm/16mm film, video tapes, DVDs, Camcorder Hard-drives, and SD Memory Cards; 2) professional video recordings on broadcast tapes such as Betacam, DVCPRO, DVCAM or U-matic tapes; 3) images on prints, photos, 35mm slides, and negatives; and 4) audio recordings on cassettes and vinyl LPs. How It Works: Pick the original format, enter how many items, and add to cart to gain an estimate. Click Checkout to place your order. A link to a prepaid UPS label is provided after checkout process is completed. Place your items in a securely packaged and taped box, apply the label, and take the box to the nearest UPS store. After receiving your order, we convert the items to new digital formats and notify you when ready to download and view. Total turnaround for your order is 2 to 3 weeks. Pricing: Pricing varies, depending upon media item type. Enter the Number of Items (or film feet or hours of content) for each type of media format to gain your project estimate. If the number of items, feet, or hours is more than your number, we will contact you first for your approval before finishing the job. Turnaround: Average turnaround is 2 to 3 weeks from receipt of your order to notification that your new digital copies are ready for your review. File Names and Instructions: We will label the digital files with the names given us by you, or what we see on each item, or we label them reel #1, reel #2, tape #1, tape #2, etc. Scanning Process: We use high definition film scanners (models Sniper HDL, Sniper HD-Pro, and Sniper-16 HD) to digitally scan and record the entire contents of each frame of your 8mm, Super 8mm and 16mm film. We use high-end tape decks to play your video tapes. The captured content is then reformatted / converted, and returned to you in new H.264 MP4 digital format. All movie film (8mm and 16mm) is returned in high-definition 1920 x 1080P resolution. Our film scanners' frame-by-frame scanning of each film frame provides a superior, flicker-free movie. Video tapes and DVDs are returned either as standard-definition or high-definition depending upon their original recording format. Calculating Film Feet: The table below calculates the amount of film feet. Enter the number of each size film reel in your collection, in the table below, to figure out how much total film footage you have. Each order is a custom job, and final quantity of film feet can be impacted by removing damaged or blank film, or by the estimation of film feet being incorrect. We charge $11 for each 50 feet of film. Shipping: At the end of the order submittal process, we provide a link to a free UPS Shipping Label for attachment to your inbound package to Cintrex AV. The label will have your origination address and our destination address. Take the UPS labeled package to the nearest UPS drop-off point. Do not leave larger packages unattended outside a UPS dropbox, instead hand your valuable packages over to a store clerk inside a UPS store or drop-off location. Cintrex AV provides free shipping, both ways, on orders valued over $100. UPS shipping labels are created with your order and available for printing and attachment to your package. Orders valued at less than $50 are charged a $25 shipping & handling fee, and orders greater than $50, but less than $100, are charged a $10 shipping fee. From Mark of Union, Ohio on 4/24/2014 . Thank you Cintrex AV. I am impressed with your team's work. I am seeing a lot of video that I have never seen before and it is very relevant. I appreciate the job you did. I will also recommend you to others. From Chad of Scranton, Pennsylvania on 2/17/2014 . The 6 data files of the 8mm movies of my wife's family from Russia came out very well. The scenes shot in daylight came out great. You can tell that this is one of the first movie cameras that the family had experienced from the way they stood still and posed! We are sorting them out and have ordered music that will go well with the films; Vladmir Vysotsky was a Russian folksy singer from the time. Kind of a Paul from Peter, Paul and Mary who everybody knew and loved to hear. So, we'll organize the DVDs in order, list the music we want to be overdubbed (or dubbed), and send the discs back to you for making the final DVDs and Blu-ray Discs. From Ernest Stokely of Dallas, Texas on 10/3/2013 . I submitted two rolls of 8mm film from the 60s to Cintrex AV for digitization. I had already had these rolls of film digitized, but was unhappy with the result. The images were blurred and there was no sign of film grain. My film camera was a high quality Bolex which made excellent quality movies. The quality of the digitized files I got back from Cintrex were better than I expected. Film grain was there and the images were super sharp. Turnaround was reasonable, and the file format I got made it a snap to import the clips into iMovie. I have wonderful memories prepared as a Christmas gift to my family members. Great job, guys! From RH of Fort Worth, Texas on 7/26/2013 . good price- fast turnaround. Was more than pleased with my 16mm film transfer to DVD. They even followed up with phone call to make sure I was satisfied. Well done - would not hesitate to recommend.